Metal Mind have done a good job with the packaging and there's no doubting the class of the music. 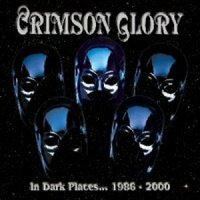 Even before this five CD collection that includes all four of Crimson Glory’s albums (‘Astronomica’ comes with a previously unavailable demos and live disc) had been released, it had created quite a deal of controversy. The band themselves have completely disowned the release - alleging that Crimson Glory won’t see a penny from this set and that Metal Mind don’t actually own the rights to their music. In their defence, Metal Mind, who have built up a good reputation over the years, believe they have bought the rights to these albums from the band’s previous label Road Runner in good faith. So putting that to one side, let’s actually talk about the box set. Housed in a classy, numbered (the release is limited to 1000), if rather flimsy card box comes five digi-packed discs that are adorned with original cover artwork. The booklet that accompanies the discs contains a brief history of the band and their albums and whilst interesting, offers little new insight and (obviously) is lacking any new input from band members. That said, the use of existing quotes and the background to the band’s albums, does make for decent reading. When Crimson Glory burst onto the scene, their blend of progressive power metal saw them at the forefront of a fledgling new musical genre that included the likes of Fates Warning and Queensryche. The blistering guitar work from Jon Drenning and Ben Jackson and frantic rhythms from bassist Jeff Lords and drummer Dana Burnell, were a breath of fresh air. However Midnight’s characteristic voice raised the already tremendous music into an altogether more dramatic and emotional state. It was no wonder that the music press frothed at the mouth over 1986’s self titled debut and 1988’s follow up ‘Transcendence’. The fact that the band would only appear in public behind silver face masks only added to the mystique of their music and guaranteed much press speculation of why they were so keen to stay hidden. Some publications even went as far as to suggest that Crimson Glory were in fact Queensryche in disguise! The masks were gone for 1991’s ‘Strange And Beautiful’, as were Jackson and Burnell. The band continued as a four piece with the latter being replaced by Ravi Jakhotia who brought a more tribally influenced drum sound to an album which shocked and confused critics and the band’s fans alike. ‘Strange And Beautiful’ has a more organic, less bombastic sound that leans more towards classic rock than its theatrical predecessors however time has been kind to songs such as ‘Promised Land’ and ‘Starchamber’, which have a more natural vibe than before and also allow Midnight to really show his vocal prowess. Even less accepted by the fans was 1999’s ‘Astronomica’. Musically it is a more ferocious take on the original CG sound, however the departure of Midnight led some to believe that the band should not continue and while Lucian Blaque and Leatherwolf vocalist Wade Black puts in an excellent performance, it didn’t stop the fans petitioning for Midnight’s return. 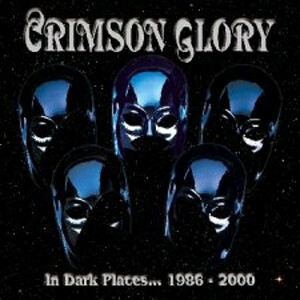 Crimson Glory, who have hooked up with unknown singer Todd La Torre in anticipation of a new album, have stated their intentions to re-release these albums with a host of bonus features, which does rather call into question the desirability of this version, however Metal Mind have done a good job with the packaging and there’s no doubting the class of the music.